When most people hear the name Gandhi, they immediately think of the 1982 drama starring Ben Kingsley that whipped E.T. at the Oscars that year. Now, a new movie claims to get to the bottom of a massive controversy surrounding the man behind the legend. The Gandhi Murder doesn't sound like a pulse-pounding thriller, but that's how it's presented in the first trailer. The Ghandi Murder, which is coming to theaters this winter, sounds like it should be a documentary. But it's not. It flows with an intense narrative, and it's got an impressive cast lined up. This looks rather bizarre, actually, and now we need to see it. Maybe you'll feel the same way after you watch the trailer. Abraham Lincoln, JFK, Martin Luther King, Princess Diana. We've all long had questions about their untimely deaths. Now a new movie is asking us to add Gandhi to the list. The Ghandi Murder is based on true events immediately prior to Gandhi's assassination that raises all new disturbing questions. It's these conspiracies of death that continue to shape our world. Next to August 15th, October 2nd and January 30th, are two of India's most important dates, marking the birth and death of the 'Father of India, Mahatma Gandhi'. This year, the 2nd of October, known as Gandhi Jayanti (birth of Gandhi), saw the release of the teaser of The Gandhi Murder, a full-length feature film, that will question the history and truth, that billions of Indians across the world, believe about Mahatma Gandhi's death. 71 years after his tragic death at the hands of the Hindu right-wing nationalist, Nathuram Vinayak Godse, The Gandhi Murder delves into the political events leading to the assassination that changed the future of Independent India. The film will be released on 30th January 2019, the 71st Anniversary of the assassination. The Gandhi Murder is a period movie based on true events that led to the eventual assassination of Mahatma Gandhi. The movie demonstrates a violent India, against the backdrop of a non-violent Gandhi, and hard-line fanatic mindsets beginning to grow roots in a country divided on the basis of religion. The movie unravels facts that are bound to trigger the thought that what is conveyed by governements is seldom the full truth, and that politics define what history books write. That both the police and the Indian politicians were well aware about the impending assassination, and even knew about the key planners, and yet did not act in time demonstrates that the assassination was not an act of a single assassin, but a collective plan hatched within the corridors of power of the newly independent India. 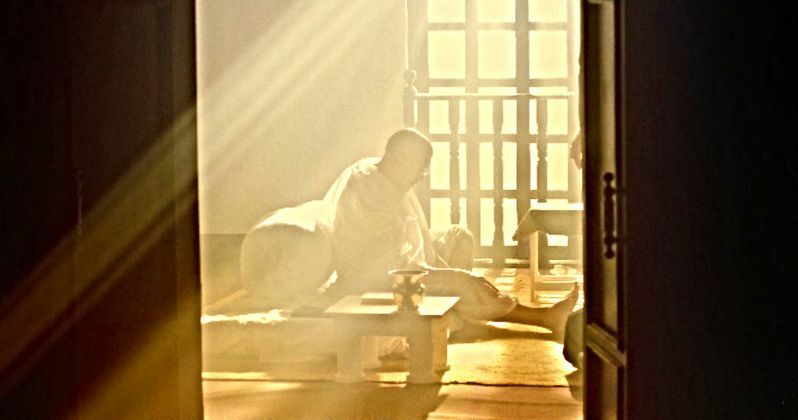 The film follows three Senior police officers in different parts of India, who, well aware of the intelligence that Gandhi's life in under threat, must take key decisions that would eventually either save the Mahatma, or the country. Starring the great Om Puri in his final on-screen role prior to his death in 2017, American actor Stephen Lang (Avatar, Salem, Into the Badlands) and British talents Luke Pasqualino (Skins, The Musketeers, Our Girl) and Vinnie Jones (Lock, Stock and Two Smoking Barrels, X-Men: The Last Stand), the film will rock the very foundations of India's political landscaping and questioning not only who really played a role in the murder of the founder of India, and whether this tragedy is another in the long line of political assassination that has deeper, darker roots, but also force contemplation on why political assassinations happen, sometimes with the knowledge and blessing of those who matter. Produced by Dubai-based Nugen Media, The Gandhi Murder releases worldwide on 30th January 2019 and will be distributed by Rising Star Entertainment Ltd. Take a look at the trailer for Nugen Media.